Even as Bihar gears up for the upcoming elections, Chief Minister Nitish Kumar's party JD(U) is embroiled in a controversy. A pole-dancing controversy at that. 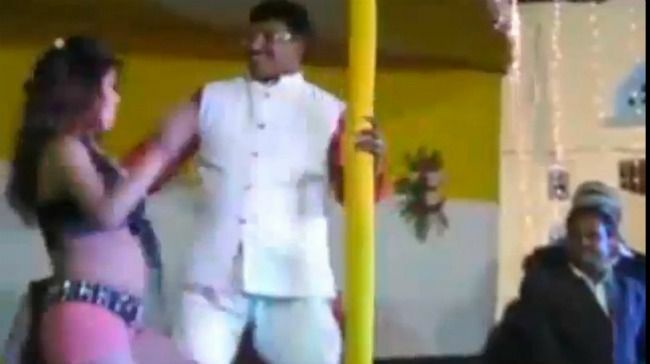 A video of Abhay Kushwaha, the JD (U) candidate from Gaya, indulging in a spot of pole dancing has surfaced, causing major outrage.In the video, Kushwaha is seen dancing in close proximity with a dancer and at times attempts to grab her. He even trips and falls towards the end, while those around him look on nonchalantly. With only a fortnight left for the Bihar elections, will this video have an adverse impact on Nitish Kumar's chances of coming back into power? If nothing else, the video will cause JD (U) quite a few sleepless nights.